Sad news that Wendy Hughes has died aged 61 after a battle with cancer. It is believed that she passed away in Sydney yesterday morning. 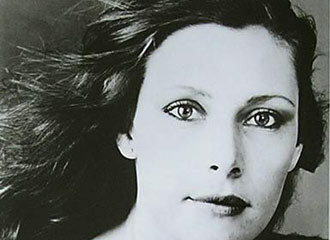 Wendy Hughes was one of the great Australian actresses, appearing in some iconic Australian films of the 70s and 80s. She was born in Melbourne in 1952 and studied at the National Institute of Dramatic Art. Her first roles were in Television series, including Homicide and a brief appearance in Number 96. Her first film appearance was a co starring role with Jack Thompson and Jackie Weaver in "Petersen" in 1974. This would be the first of three films that she would make with the director Tim Burstall. She was always in demand as an actress and landed starring roles in My Brilliant Career, Hoodwink, Careful He Might Hear You and An Indecent Obsession interspersed with work on Australian TV series. She continued to work in a variety of roles including the Billy Connolly film The Man Who Sued God and in Star Trek: the Next Generation. Towards the end of her career, she starred in the Australian TV series State Coroner and her final role was in an episode of the very popular Miss Fisher's Murder Mysteries in 2012. Wendy Hughes was married three times and had two children.